Why do they need a reason? They've sunk billions into the project, might as well get more use out of the car now that they aren't competing with it. I don't see why we don't need. 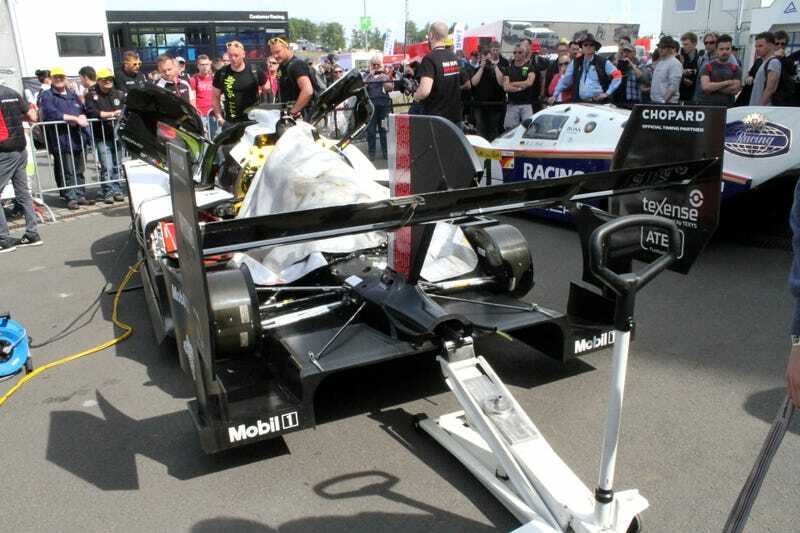 This was just to show what Porsche Could have made with no rules, and for a single lap. Could this car win the 24H of Le Mans? I doubt it. It doesn't even have whippers. Or ar con. To be fair the lights from cars of the 1970s or 1980s doing 380+ km/h at LeMans don't really count, so it would be more or less the same! 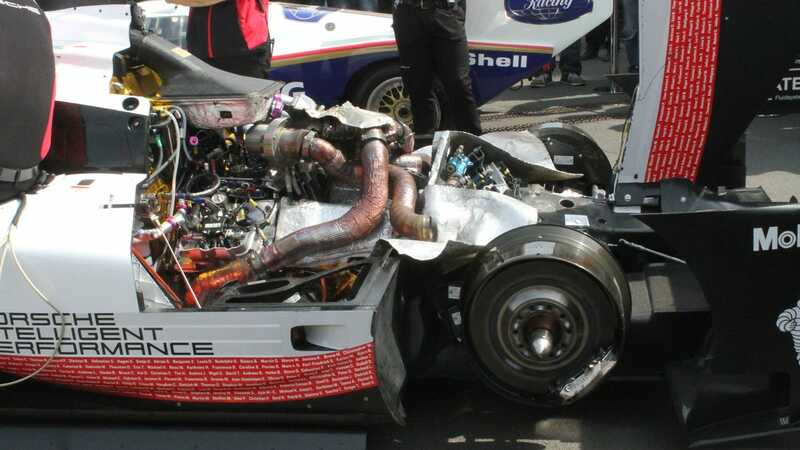 Porsche always seem to find a way to use defunct race cars or parts in their future projects or to promote the company. 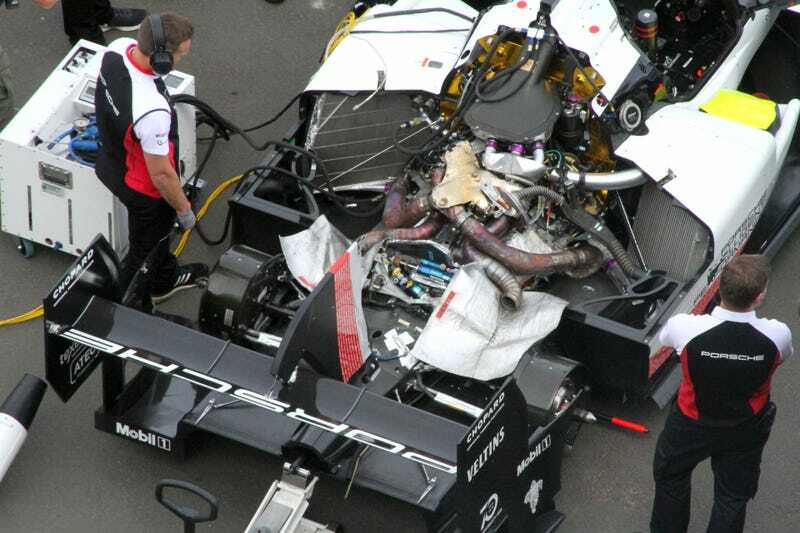 Remember the v10 Lemans engine in the Careers GT? 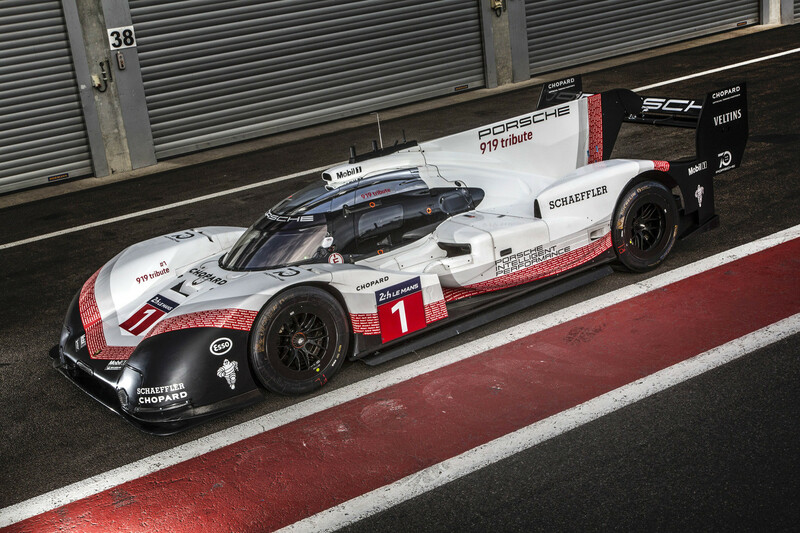 Maybe Porsche is looking to do the same for a new roadcar after this lap record project? 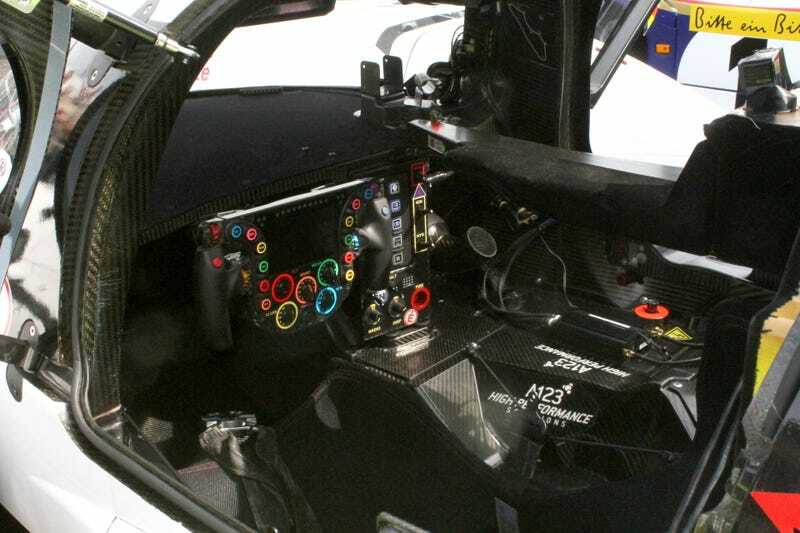 it's headline grabbing for sure, they must be leading up to road car using this tech. Jaguar XJR-14 - a car that was able to match the lap times of most contemporary F1 cars (but not those of top cars such the Williams-Renault and McLaren-Honda cars that were at least 2 to 3 seconds faster per lap). That car was as close to a closed wheel F1 car as you could get. It never has been. Open wheel cars are aerodynamically garbage and wouldn't exist as a form of motorsport if they weren't forced to exist. They've been trash since the 1955 W196 Merc got it's bodywork banned. news to me - when was it banned ? 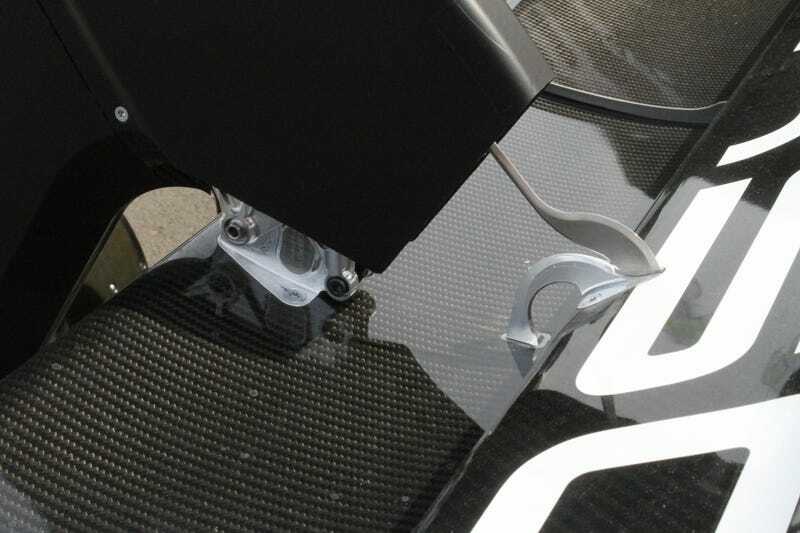 It was not banned outright, it was prohibited from having a faired version after dominating with the package at faster circuits like AVUS. This was the point that it became rule of law in the premier from of racing and has perpetuated since. 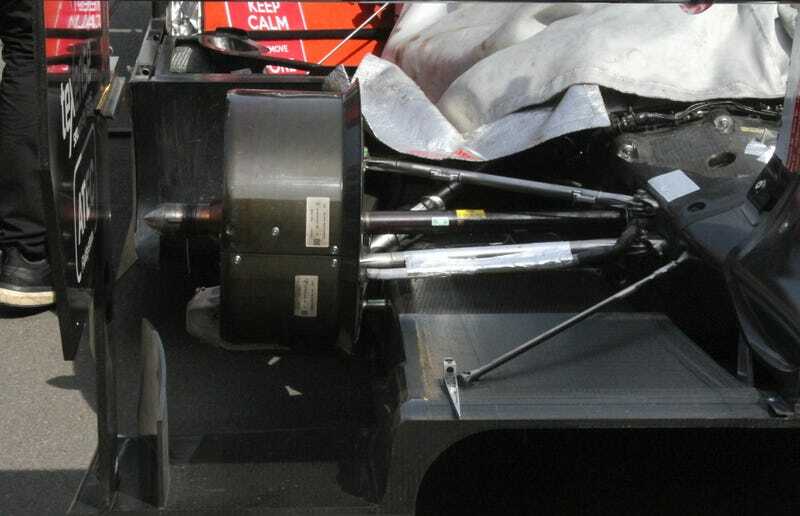 Had it not happened as the tires got wider and materials for bodywork got lighter (which is why they didn't run that way at slower circuits), F1 would have closed-in wheels today.